At some point, during what will be know from here on there as the mostest busiest time of my life (I say this nearly every week, don’t mind me) I got invited to sample what has got to be the best invention to date. I was supposed to bring with me 3 friends, but since we apparently all have lives now and some were editing their magazines, some were vacationing and most of them just really didn’t have the time, it was left to Dana& I to sample the new AVON Make-Up Service. The dreaded ‘before’ picture, where you’re hoping your personality will shine through, more than the circles around your eyes. Point is: there we were, pretty tired and kind of cold (first really chilly day of fall), we nibbled on all the M&Ms we could find at the candy bar and waited to be pampered by one of the AVON make-up artists there. Which eventually happened after we chatted with everyone around about the colors they were going to use- they were using the Color range and about tehnique (it’s ok to not cover all flaws, I hate having too much make-up on) we hopped on in our chairs. 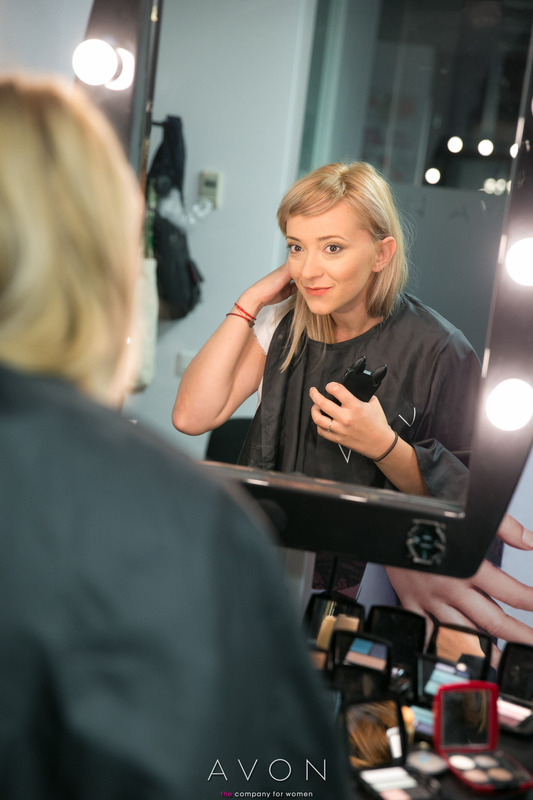 There’s always that wow effect when you see yourself with professional make-up on, because you never get to do at home what these amazing girls (and boys) do. Well, at least I don’t since my beauty routine consists of about 7 minutes spent in the mirror every morning applying basics, eager to get out the door. This was a good 20 minutes of beautification from someone who actually knew what to do, and it felt niiiiice. It looked nice too! Ah, the ‘after’ picture, where you’re wondering how come none of your friends pull out their phone cameras and snap a picture. Dana looked super cute, so we decided to get out of there and have a glass (or more) of wine. No photographic evidence of what followed have been made public and nor will they, It was good, but it was private. I’m not posting ‘before’ pics of her, she’d kill me dead. ‘During’ pics are fine. ‘After’ pics are REALLY fine. 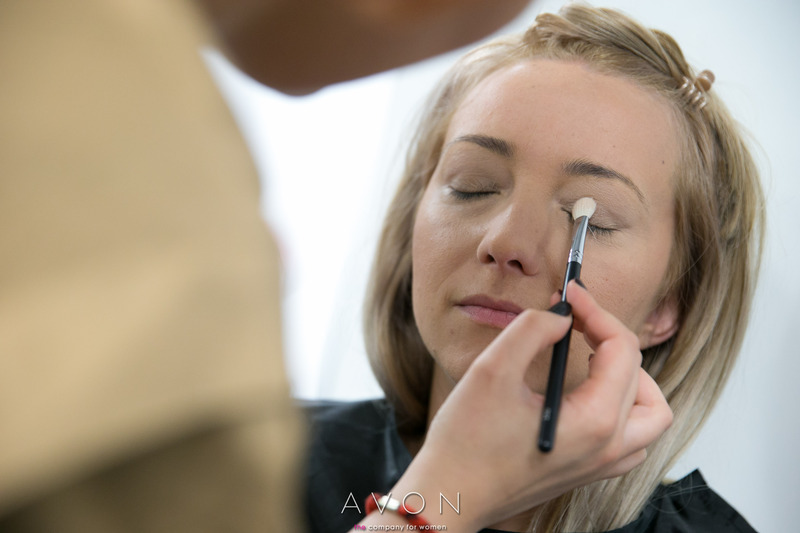 The make-up service is available to everyone and it’s so easy, you’ll love it: call 14 friends, make sure you can all set a day&an hour and the AVON make-up team will join you. In a few hours you’ll allbe ready to get going. It’s pretty great for all sorts of parties and events that are happening this fall and I’m sure that even a Saturday night out is well worth calling your friends over. Make sure there’s mimosas and candy and you’ll havea wonderful afetrnoon and by the time it’s dark outside, you’ll be ready for dinner& a party. Log in to this application and rally up your friends, it’s gonna be aaaah-mazing. More details on how this works, here.